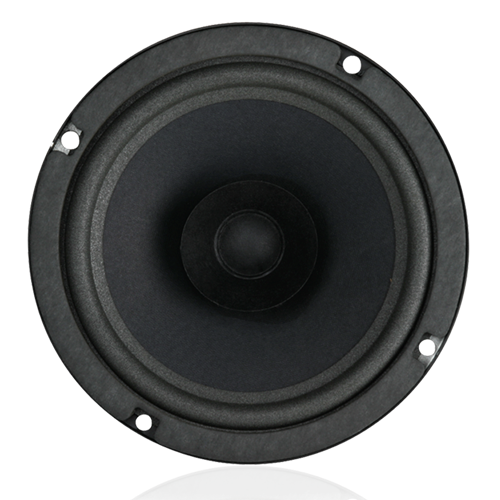 Strategy Series Model FA116 is an efficient 6" speaker rated at 25 watts with wide frequency response and broad dispersion. Assembly includes a 6" (152mm) driver with a formed paper cone, weather-protective half-rolled polyether foam surround, whizzer and 10 oz. ceramic magnet. The speaker's full-range capability is optimized when installed within the FA97-6 Series high performance (.17ft3) enclosures with acoustic batting. Economy Series FA95-6 are shorter (.14ft3) versions without acoustic batting. All models provide for frontloading of the speaker and install quickly and easily into the ceiling via screwdriver-adjustable clamps or conventional screws. Baffle selection includes a choice of two attractive grilles which are equipped with three serrated studs for hardware-free, push-on installation to Strategy Series enclosures.